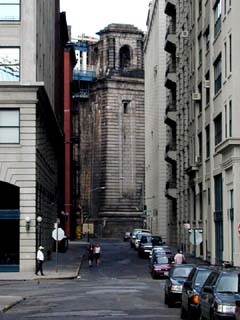 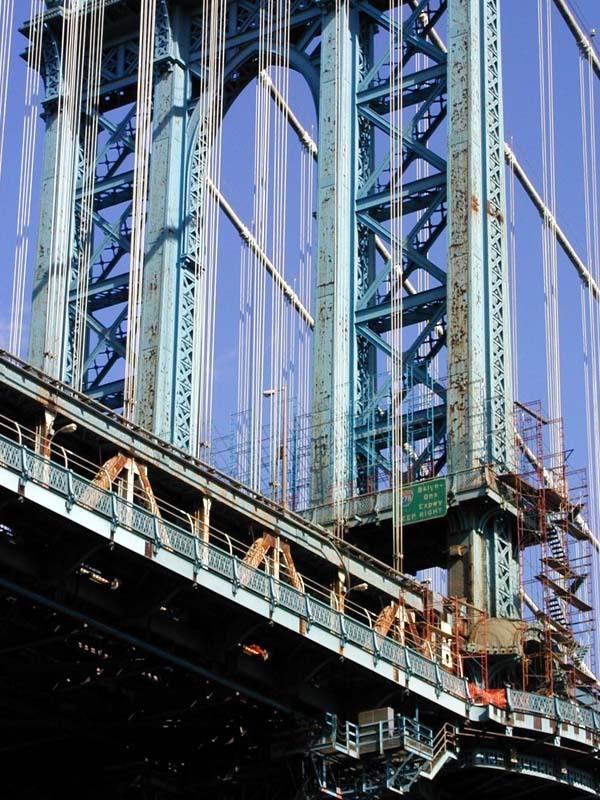 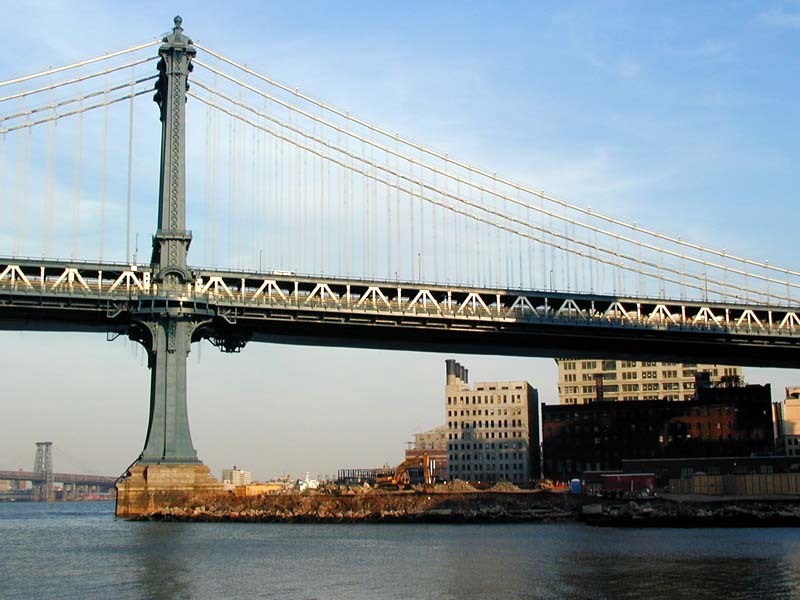 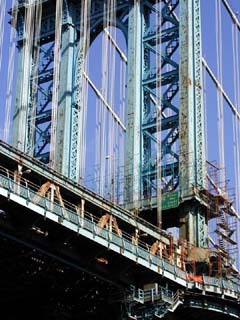 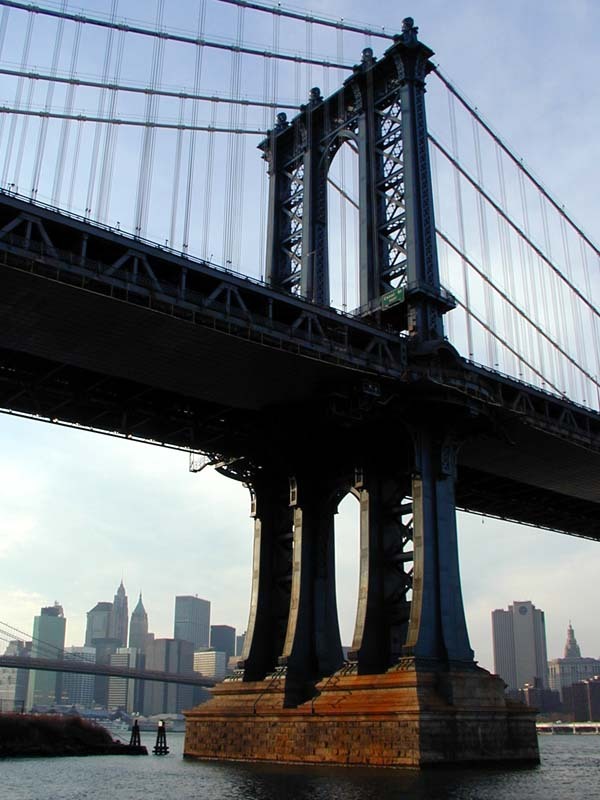 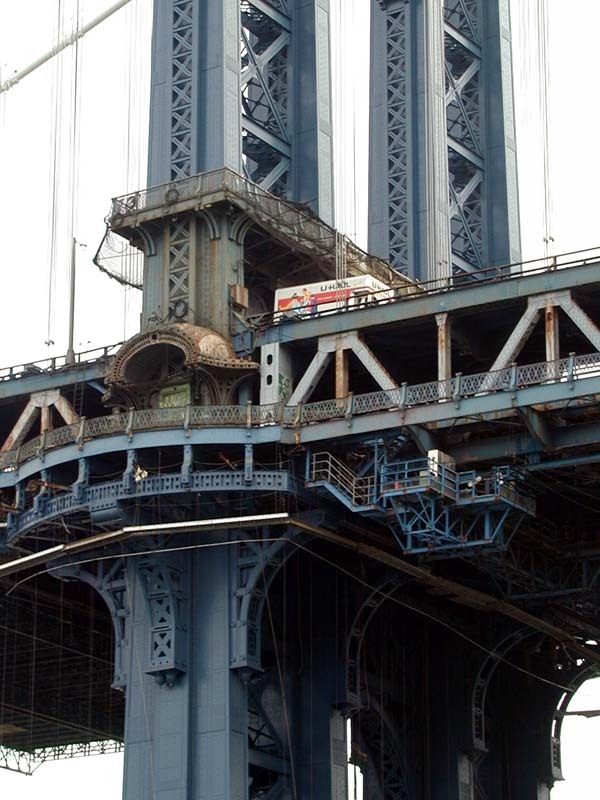 The closeup view of the Manhattan Bridge. 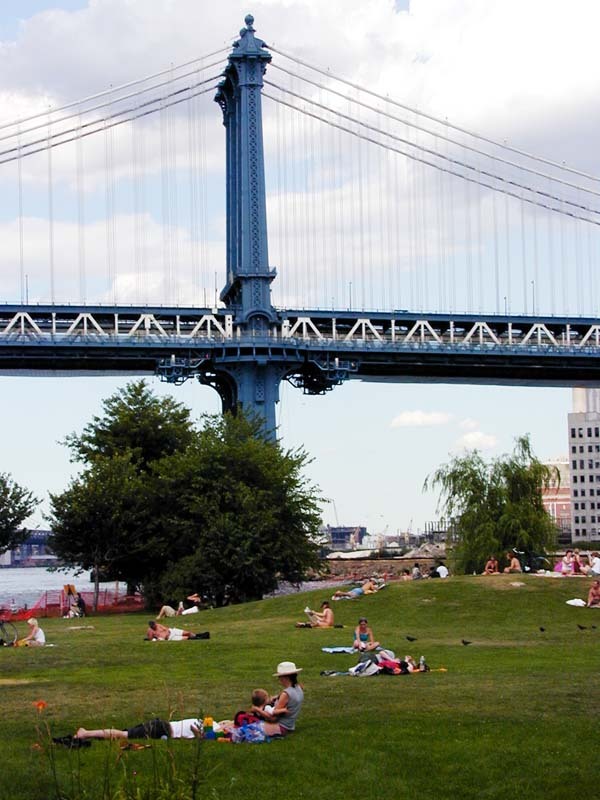 Sunbathers at Empire-Fulton Ferry State Park next to Manhattan Bridge. 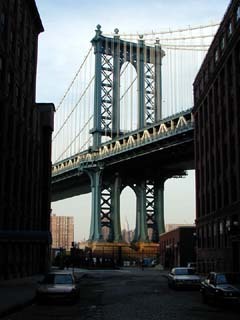 The view on Manhattan Bridge from the Water Street in Brooklyn. 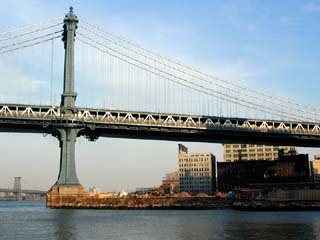 The view on Manhattan Bridge. 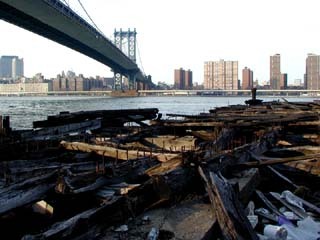 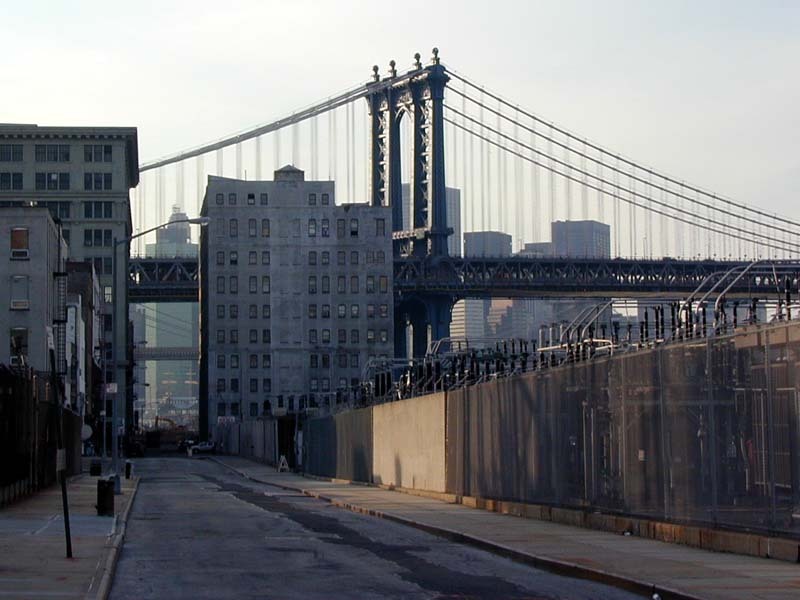 The view on Manhattan Bridge from the Empire-Fulton Ferry State Park.